Richard Sierzega | Singular Private Wealth, P.C. Richard Sierzega brings over two decades of experience working in financial planning and investments. After earning his MBA from the Rochester Institute of Technology, he worked at a financial firm in Rochester preparing financial plans, creating investment models, performing analyses, and managing clients’ investment and 401(k) enrollments. He joined Singular Private Wealth, P.C. in 2016 to continue serving as a team member of a comprehensive planning firm. “I have always enjoyed performing a support role, because I am aware of the importance of having solid support,” Richard explains. “We have to be flexible, attentive to detail, and up-to-date, or else we cannot provide the service the client deserves,” he adds. Measured in his approach, and known to be even-keeled under pressure, Richard’s mission is to help clients take action on their decisions. Richard is both FINRA Series 6 and 63 securities licensed, and he also holds the Life/Health insurance license. 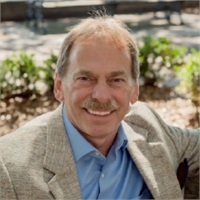 Originally from upstate New York, Richard relocated to Charleston, South Carolina to be closer to family, and to his ultimate retirement destination. Still an avid golfer, Richard had once hoped to play golf professionally, but his life took another path. These days, he relishes the many recreation golfing and boating opportunities that his new home offers.